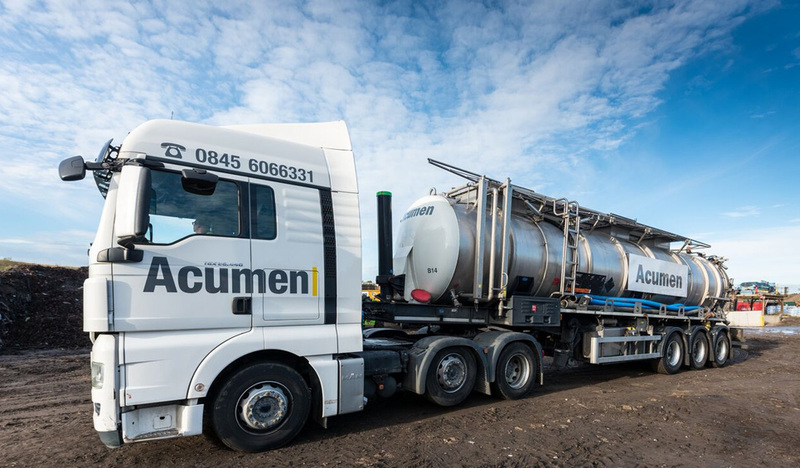 Acumen Waste Services operate a dedicated tankering service to manage hazardous and non-hazardous liquid waste. 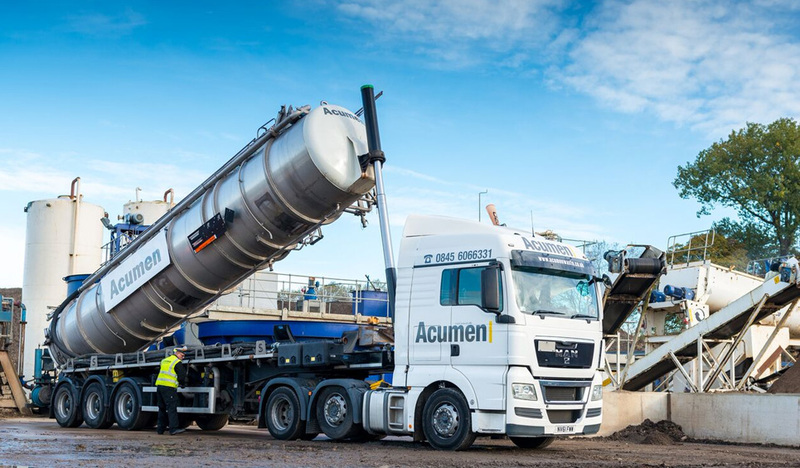 Acumen supply ADR certified drivers and ADR compliant tankers and tractor units, ensuring that we are equipped to collect all types of waste. The current fleet comprises of a vast range of tankers, with most stainless-steel barrels. These are suitable for a diverse array of waste streams, commonly used for effluent collections made in the food industry, manufacturing, oil interceptors from car parks, roadside gully’s and tank cleaning services. The fleet also boasts several specialised barrels, including two glass lined barrels, suitable, but not restricted to collecting spent acid, most commonly found in the galvanising industry. The pride of the fleet belongs to our combination vacuum and jetting unit. This barrel has a capacity of 24,000 litres with a jetting unit attached to the barrel itself. 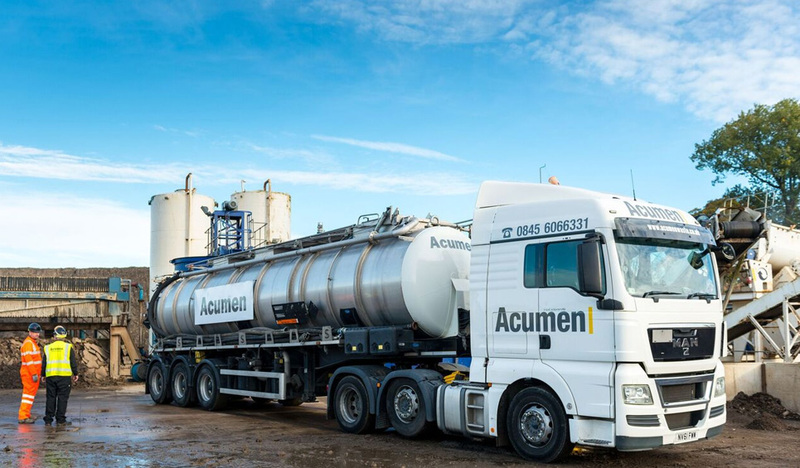 This ensures that once your tank, interceptor or bath has been emptied, our experienced driver can wash the area down, guaranteeing a full service is offered in one visit, instead of the added expense of a secondary jetting unit coming to site. As it is also a tipping barrel, it is commonly found on site with our Industrial Services team during tank washing services, ensuring that honey thick liquids along with high solid wastes can be collected and disposed of. This allows us to offer a wide range of options to a whole host of market places.